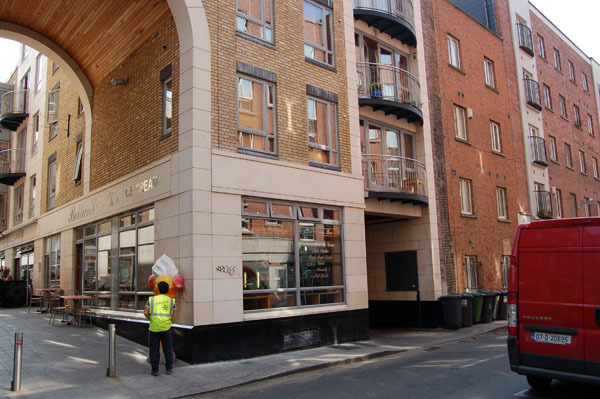 Ryanstone was awarded the contract for the supply of stone to this prestigious development by Wallace construction. 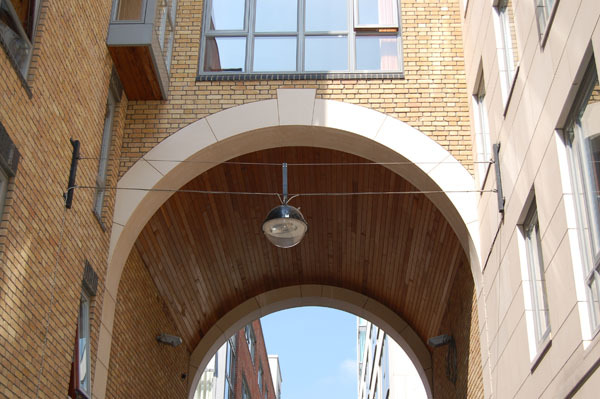 The development which incorporates a light cream colored clad arch to the walkway allows through access to adjoining streets and has been very popular with Dubliners since it opened The Design was by Architect George Morris. 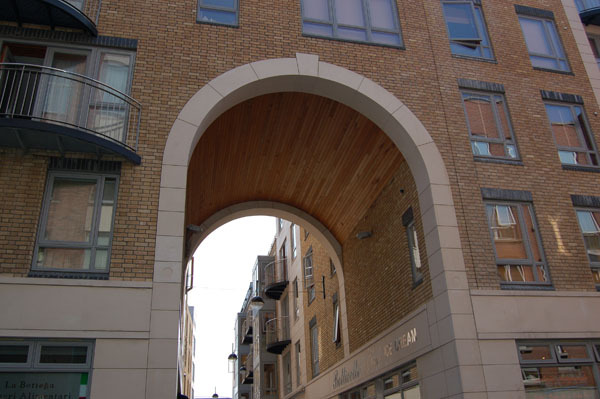 View of Arch facing north with cream limestone cladding. 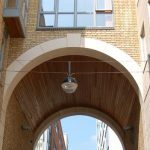 Walkway arch clad in cream Limestone (Moleanos) from Portugal. 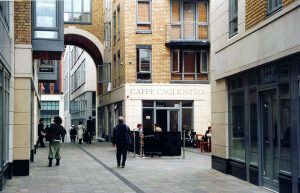 The development which includes shops apartments, restaurants, a public area and a wine bar was clad with Natural stone. 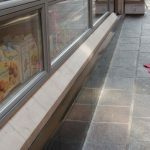 The Building stone chosen was Cream coloured Moleanos Limestone from Portugal for the Building cladding of honed finish, thickness 40mm and 75mm for the returns together with Polished black granite with chamfers for the plinth. We also supplied G682 desert yellow coloured granite,bush hammered finish granite tiles for the apartment patio areas. Granite coloured worktops, granite table tops & tiles together with sand blasted lettering. Ryanstone supplied various colored granite worktops for the apartments including blue pearl and South African dark grey. 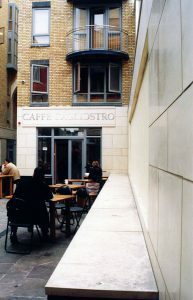 The wine bar included a polished black granite counter top and black granite work surfaces together with colored granite table tops on which we carved a unique logo and engraved lettering chosen by Mick Wallace. The floor tiles supplied were honed light cream coloured limestone from Portugal together with Indian sandstone tiles. The apartment stairs were supplied with bull nosed treads into which we cut anti slip bars together with risers that were supplied in slate and various granite colors including black basalt G684. We also supplied tiles to the landing and apartments using cream Moleanos Limestone Tiles.